Teachers in the Sacramento City Unified School District returned to work Friday as system leaders called a “cease fire” between the district and the union. Education Dive's tracker has key details. 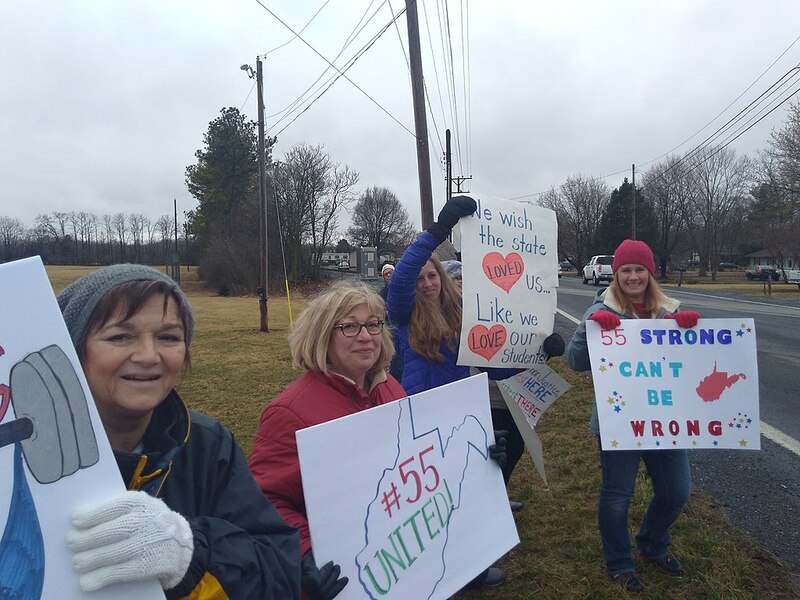 While the issues vary from state to state — and sometimes district to district — the wave of teacher protests, walkouts and strikes has dominated education news ever since West Virginia's teachers went on strike in late February 2018. Across the country striking teachers are pushing district leaders, state policymakers — and increasingly charter school operators — to address salary issues, declines in education spending and conditions in classrooms. Many strikes have focused on traditional issues of pay, benefits and time spent on the job. But others have also touched on the impact of charter schools and included demands that teachers say are important to improving the quality of education, such as community schools, counselors and other support personnel. Following the U.S. Supreme Court's June 2018 ruling in Janus v. American Federation of State, County and Municipal Employees, which said requiring non-union members to pay agency fees is unconstitutional, some observers forecasted unions would lose power. But with many strikes resulting in victories for teachers, that doesn't seem to be the case just yet. Education Dive will continue to update this tracker with essential details on educators' demands and the outcomes of each strike. Members of the Sacramento City Teachers Association (SCTA) held a one-day strike, arguing that the Sacramento City Unified School District has not abided by the terms of the contract with the union and is putting the district in a position to be taken over by the state. Schools remained open in the 48,000-student district. In March, 92% of the union’s members voted in favor of a strike, accusing SCUSD of “unfair labor practices” that include not adhering to a class size reduction plan, changing teachers’ wages and working conditions, and not meeting with union representatives. On March 26, SCTA also sued the district, saying that it violated open meetings laws by discussing budget issues in a closed session and then passed a resolution calling for layoffs based on that budget discussion. The union and the district also disagree over how to use healthcare savings. SCUSD Superintendent Jorge Aguilar said that while he wanted to avoid a strike, he couldn’t “risk sacrificing the district’s immediate or long-term fiscal health as this would also hurt our students today and for many years into the future.” He said he would continue to consider SCTA’s suggestions for avoiding insolvency. The two sides met on Monday, but their issues were not resolved. Following the strike, the district issued a statement calling for a "cease fire," saying it understands community members don’t want to get caught in the middle and that it would back off plans to file an unfair labor practice charge against the union. “Instead, we will focus on working together with a coalition of labor, business, community and elected officials to avoid a state takeover and address our budget challenges,” the statement said. Inspire Staff United held a one-day strike against Inspire, officially known as the Orange County Cerebral Palsy Association, which runs programs and services for children with developmental disabilities. Affiliated with New York State United Teachers, the teachers — who work at the Inspire Kids preschool — are protesting the lack of a contract, high turnover, “insufficient pay,” and what they describe as a stressful work environment. In a statement on its Facebook page, Inspire says turnover has declined in recent years and is below the industry average, that pay is on par with similar nonprofit organizations, and that caseloads are significantly lower than those of school districts. "The union claims they are striking for the children, but their actions are directly impacting the children’s education and affecting the families," the statement says. Teachers in the 36,000-student Oakland Unified School District (OUSD) went on strike, with a contract proposal that included a 12% raise over three years to improve teacher retention, class-size reductions, lower counselor-to-student ratios, and more school psychologists and nurses. A neutral fact-finding report supported much of the union’s demands, but district leaders said the district could not afford most of what the union wanted. The tentative agreement, however, includes an 11% raise, another 3% bonus when the contract is ratified, phased in class-size reductions, and lower caseloads for special education teachers and counselors. The union also opposed plans to close up to 24 schools over the next few years, which the district had said was necessary for its long-term financial stability. The agreement includes a “five-month pause” on any closures. As in Los Angeles, the 3,000-member union also said that the “unchecked growth of charter schools“ is hurting traditional public schools. Under the agreement, the OUSD school board will vote on a resolution asking the state to put a moratorium on new charter schools. Schools remained open during the strike. About 25 teachers at the K-12 Summit Academy Parma Community School went on strike calling for improvements in health and safety conditions, smaller class sizes and planning time. The school, which serves about 200 students, is part of a network of charter schools in Ohio that serves students with behavioral issues and disabilities, such as autism. The teachers are affiliated with the American Federation of Teachers and the Alliance of Charter Teachers and Staff. After being out for nine days, the teachers ratified a contract that includes guidelines regarding class sizes and staffing, creates a binding grievance and arbitration process and establishes a labor-management committee to address future issues. While the teachers did not receive a raise, salary issues are expected to be revisited at the beginning of the 2019-20 school year. The strike was the first for a charter school in Ohio and the fourth charter strike in the U.S. Roughly a year after a statewide strike, West Virginia’s three education associations agreed to call a work stoppage, citing frustration over legislation that would have created the state's first charter schools, established education savings accounts, and penalized teachers that strike. The controversial bill was tabled the same day, but teachers and service personnel continued the work stoppage for a second day until the bill was officially dead. Senate President Mitch Carmichael referred to teachers as “champions of the status quo” in an Associated Press article, while the education organizations said a press conference they have “trust issues” with Carmichael and the Senate leaders. Fifty-four of the 55 counties in the state closed schools. After months of negotiations and a request from the Denver Public Schools for the state to intervene in the contract dispute, the 3,000-member Denver Classroom Teachers Association (DCTA) went on strike. Schools remained open except for district-run early-childhood education programs, and both sides resumed bargaining on the second day of the strike. The major differences between the district and the union centered around ProComp, a pay-for-performance initiative supported with a property tax increase passed by Denver voters in 2005. Teachers argued that the system was too complex, that it was difficult for teachers to predict their annual income from year to year, and that greater increases in base pay — not one-time incentives — were needed to attract and retain teachers. After several hours of negotiations stretching into the morning of Feb. 14, the 92,000-student district and DCTA reached an agreement on a three-year contract that, according to a DCTA press release, includes base salary increases ranging from 7% to 11%, “a clear and transparent 20-step salary schedule,” cost-of-living agreements in years two and three of the contract, and the ability to use professional development to earn higher pay on the schedule. The agreement would also end high bonuses for senior-level district administrators. About 175 teachers at four schools within the Chicago International Charter Schools (CISC) network went on strike, calling for higher wages for teachers and arguing against higher caseloads for counselors and school social workers to pay for those salary increases. The strike affected about 2,200 students. While the network includes 14 campuses, the strike only involved the four schools managed by Civitas Education Partners: CICS Wrightwood Elementary School, CICS Ralph Ellison High School, CICS Northtown Academy High School and CICS ChicagoQuest High School. In a deal, the teachers, who are represented by the Chicago Teachers Union, will receive salaries on par with those of teachers in the Chicago Public Schools. The agreement also includes class size limits. CISC schools remained open during the strike. ​Represented by United Teachers Los Angeles, about 80 teachers who work for the Los Angeles charter network went on strike after failing to reach an agreement with founder and CEO Johnathan Williams over pay and health benefits. The strike was the first for a charter network in California and the second in the nation. The teachers also argued for job protections, such as due process rights and binding arbitration. Another concern was high teacher turnover. The schools serve about 1,850 students. While schools remained open, attendance ran at about 50%. More than 30,000 members of United Teachers Los Angeles began striking after failing to reach an agreement on a contract with the Los Angeles Unified School District. The union called for higher salaries, lower class sizes and more educator positions, such as nurses and school librarians. Schools remained open during the strike, but daily attendance for the almost 500,000-student district hovered around 100,000. After six days, the strike ended with a contract that included much of what the union requested, as well as a commitment from the district to expand community schools, call for a statewide moratorium on charter schools and work with the city to replace unused portable classrooms with green space. In ratifying the contract, the LAUSD board also passed a resolution calling on the state to study the impact of charter schools on district schools, including issues such as co-location. 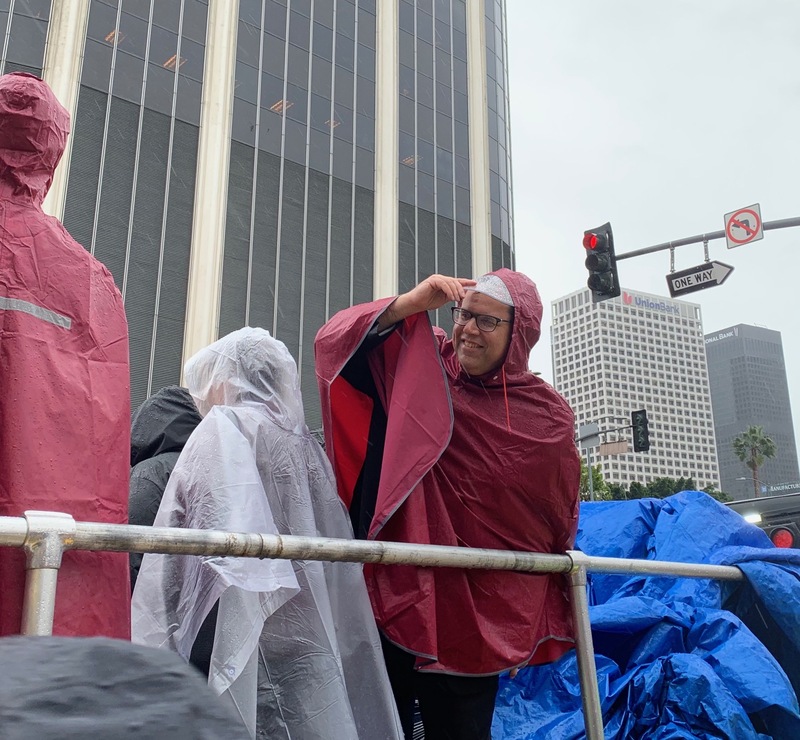 United Teachers of Los Angeles President Alex Caputo-Pearl addresses striking teachers from a flatbed truck on the first day of the strike against LAUSD. The nation’s first charter school strike took place in Chicago among teachers with the 15-school Acero network, with demands for higher pay, lower class sizes, more special education staff members and sanctuary protections for immigrant students. The schools serve a large Hispanic student population. Represented by the Chicago Teachers Union, about 500 educators and other staff members, including counselors and paraprofessionals, were on strike, affecting about 7,500 students. The strike ended after four days, with teachers getting compensation that is in line with that of Chicago Public Schools’ teachers, as well as a 30-student cap on class sizes and a shorter school year. More than 400 members of the Geneva Education Association went on strike after negotiations over salaries broke down without an agreement, affecting about 6,000 students. Teachers sought salary increases that would put them on par with those in neighboring districts and argued for a traditional pay structure that would reward veteran teachers. The district, however, pushed for a new model to attract teachers. As part of the compromise over a five-year contract, teachers would see average annual pay raises of almost 4% and entry-level teachers would see a 14.5% increase, while teachers leading extracurricular activities and teaching summer school would also receive higher stipends. Teachers in at least 14 school districts across the state of Washington went on strike around the beginning of the school year over salary issues related to the state supreme court’s decision in Matthew and Stephanie McCleary et al., v. State of Washington, a school finance case in which the court ruled the state was underfunding education. The state legislature approved $1 billion for teachers’ and other school staff members’ salaries for the 2018-19 school year, but as part of the McCleary settlement, the court directed the state to add another $1 billion for educators’ salaries — kicking off contract negotiations across the state. While some districts were able to negotiate new contracts, teachers in multiple districts were not being offered pay increases in line with what their counterparts in other districts were seeing. That’s what led to the strikes. Thousands of teachers and roughly 120,000 students were affected by the strikes, which ultimately ended with teachers negotiating salary increases averaging about 18%. Beginning with the Longview Public Schools and ending in the Tumwater School District, teachers also went on strike in the Tacoma, Puyallup, Tukwila, Stanwood-Camano, Rainier, Centralia, Ridgefield, Hockinson, Evergreen, Vancouver, Battle Ground and Washougal districts. Paraeducators in the Port Angeles School District also went on strike Nov. 15-16, with teachers refusing to cross the picket lines, which closed schools. Students join teachers on strike against the Evergreen School District in Vancouver, Washington. Teachers in the Banning Unified School District, west of Palm Springs, California, began striking on the first day of the school year. Disagreements between the Banning Teachers Association and the district focused largely on an extra 52 minutes of uncompensated instructional time added for teachers at Nicolet Middle School that was not part of the negotiated contract. The agreement, which ended the three-day strike, included reducing the 52 minutes to 20 minutes and $300,000 in back pay for the extra hours worked. Roughly 20,000 teachers from across the state staged a one-day walkout at the state capitol in Raleigh, forcing districts to close schools. The protest focused on wages, having to work second jobs to cover expenses and a decline in state education spending. Democratic Gov. Roy Cooper agreed with educators' demands, saying he was calling for higher taxes on corporations and those earning above $200,000 per year. When the Republican-controlled legislature released its budget a couple weeks later, it included a 6.5% pay increase, with a base salary of $50,000 for teachers who have 15 to 24 years of experience and a maximum of $52,000 for those with at least 25 years in the classroom. Teachers in Pueblo District 60 in Colorado went on strike after the school board denied the Pueblo Education Association’s request for a cost-of-living pay increase as part of contract negotiations. Union leaders said teachers felt disrespected, while board members said they have other financial obligations. In a deal, teachers received a 2% retroactive raise, another 2.5% cost-of-living salary increase the following September and an extra $50 contribution from the district to insurance premiums. Frustration over salaries not keeping pace with inflation and a shortfall in funding for the state’s pension plan came to a head in mid-April, when so many teachers in the Englewood Schools used personal leave to hold a protest that the district had to close for the day. Their demonstration sparked similar, larger walkouts at the state capitol in Denver later that month, with the largest involving roughly 10,000 teachers on April 27. Teachers were never officially on strike, but because the bulk of teachers were taking personal time to participate in the rallies, most schools closed because they wouldn’t have enough substitutes. Two Republican lawmakers introduced legislation that would fine teachers who walked out, but the bill was defeated. When Democratic Gov. John Hickenlooper signed the fiscal 2018-19 budget in May, it included a 6.95% increase in state education funding. Teachers also pinned their hopes on a November ballot initiative — Great Schools, Thriving Communities, which would have generated $1.6 billion for a Quality Public Education Fund — but the measure didn’t pass. The #RedforEd movement took off in Arizona when teachers in the right-to-work state protested low pay and cuts to education. Republican Gov. Doug Ducey tried to prevent the statewide walkout by proposing a 20% pay increase over a three-year period and to restore education funding to pre-recession levels — which came with a $1 billion price tag — but teachers also wanted raises for paraprofessionals and other support staff members, a new salary structure and no new tax cuts. Ultimately, after six days, teachers got raises, but the rates varied considerably at the district level. Other demands, such as pay increases for counselors and librarians, were not met. On the same day that Oklahoma teachers went on strike, Kentucky teachers crowded into the state capitol building in Frankfort to protest the end of a pension plan for teachers. While many of the state’s 120 districts were on spring break, teachers who were supposed to go to work called in sick, while some districts closed schools to allow teachers to attend the rally. While the pension bill was signed into law, teachers welcomed an increase in per-pupil funding for Support Education Excellence in Kentucky, the state’s primary school finance formula. After years of education budget cuts, members of the Oklahoma Education Association (OEA) went on strike, with a list of demands that included a $10,000 raise and $200 million in increased funding for schools over three years. The legislature had actually passed a $6,100 raise before the walkout started, increasing taxes on cigarettes, motor fuel, and oil and gas production — but teachers pushed for more, including legislation ending an exemption on capital gains taxes, which did not pass. After nine days out of school, the OEA called for an end to the strike, saying they had accomplished as much as they could. West Virginia teachers and other school personnel — some 34,000 employees — went on strike, shutting down schools in all 55 of the state's counties. In addition to receiving a 5% salary increase and protesting a hike in healthcare costs, the educators’ complaints also ultimately defeated bills that would have expanded charter schools, eliminated seniority and taken away unions’ ability to deduct dues from paychecks.